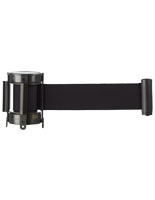 This gray belt for stanchions spruces up crowd control posts instantly. This fully assembled replacement from QueuePole.Economy series makes it easy to keep the look of an establishment updated without replacing the entire system. 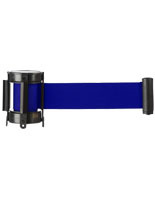 Buy this 6.5' long nylon band for any business or organization that uses this barrier series. This retractable belt for stanchions in its four-way adapter cassette is easily screwed into the plastic cassette. Busy and don't want a hassle? These belts for stanchions and barrier systems are high quality, ready-to-use, and priced to sell! 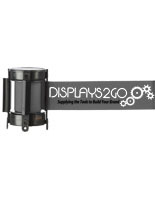 Note to Customer: This item is only a replacement belt for QueuePole.Economy Stanchions. 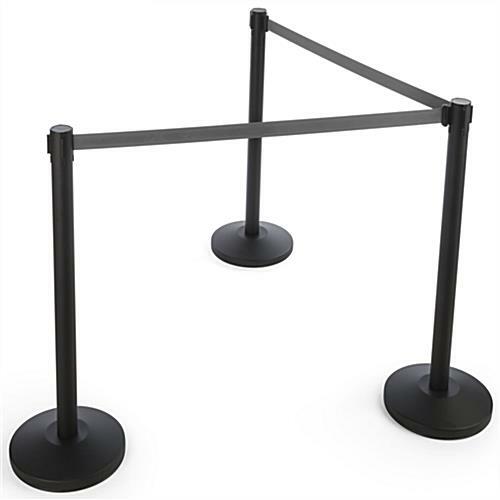 The cassette is not compatible with any other stanchions from the QueuePole series, or any other crowd control selections at this website.